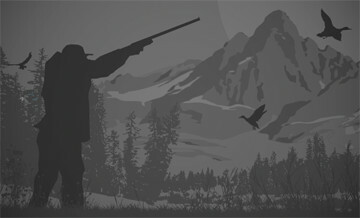 Cancellation hunts are usually the best bargains on the market, especially when it comes to hunts that are in high demand, like dangerous game or mountain hunts. Such trips are usually planned and booked a year or two in advance, and a non-refundable deposit is required. However, many situations (including births, marriages, health issues and promotions) may occur between booking and the hunt date, and cause hunters to cancel their hunt. Meanwhile, outfitters invest a lot of money and effort into preparation for the hunts. The deposit may not cover this investment, and almost certainly won't compensate for lost profit. 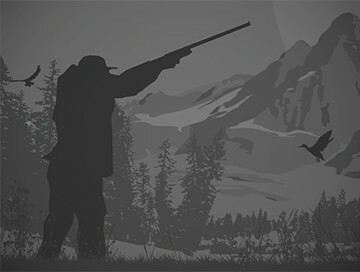 Therefore, the outfitter needs to find a replacement hunter quickly, and the usual practice is to discount the hunt to the amount of the deposit. Sometimes you can expect an even better deal. Cancellation hunts provides hunters an opportunity to hunt iconic species like mountain sheep, buffalo and leopard, Alaskan brown bears, within their budget. In any case, a cancellation hunt is a win for the client without any loss of quality. It's important to note that the discounts are provided by outfitters, not by BookYourHunt.com, and are actually part of our Best Price Guarantee. The 14 hunting day package includes 1x Leopard, plus arrival and departure days. Trophy fee is payable if wounded or taken. Plains Game species can be added from the trophy list. We operate to strict quotas and please ensure at the time of booking your safari that the specific species you wish to hunt are available. Please inquire for available dates. GIANT Northern Pre-Rut/Rut Black Bear & Optional Combination Timber Wolf, in an ALL NEW CAMP and recently explored and developed, virtually UN-HUNTED, low pressure/impact program on, “THE DELTA”, the utmost REMOTE STRETCH of the WORLD FAMOUS Athabasca River Drainage. Hunt Top~End Genetics in a Quality Game Management System, where 5 yr. old Boars can already square 7+ foot, are 300+ lb. & skulls over 19”. ~ Untouched population with great cub production ~ GIANT color bear in moderate percentage, and possibility to harvest 400+ lb (spring weight) 7 1⁄2 foot + Bear, with skulls exceeding 20 ~ 21 Inches, living up to and EXCEEDING 20 yrs. old. This is a REMOTE ~ UNHUNTED PROGRAM that EPITOMIZES ADVENTURE. ~ Group Rate 2 Or More Hunters ~ $ N/A. USD. Per. Book Early ~ Space Is Ltd. ~ “2nd” Trophy Black Bear ~ $1500. USD. Trophy Fee. ~ Trophy Northern Timber Wolf ~ $1000. USD. Trophy Fee, Per. (unlimited). ~ Trophy Northern Coyote ~ $500. USD. Trophy Fee, Per. (unlimited). ~ Observer/Non Hunter ~ $250. USD. Per ~ Day Rate.